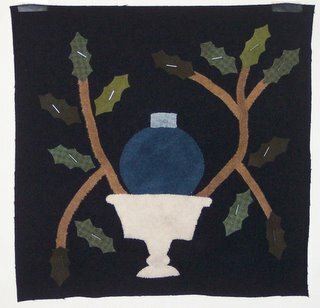 Darcie mentioned she liked my new Christmas Quilt pic. So I thought I had better share a bigger picture of it so you can actually see it! 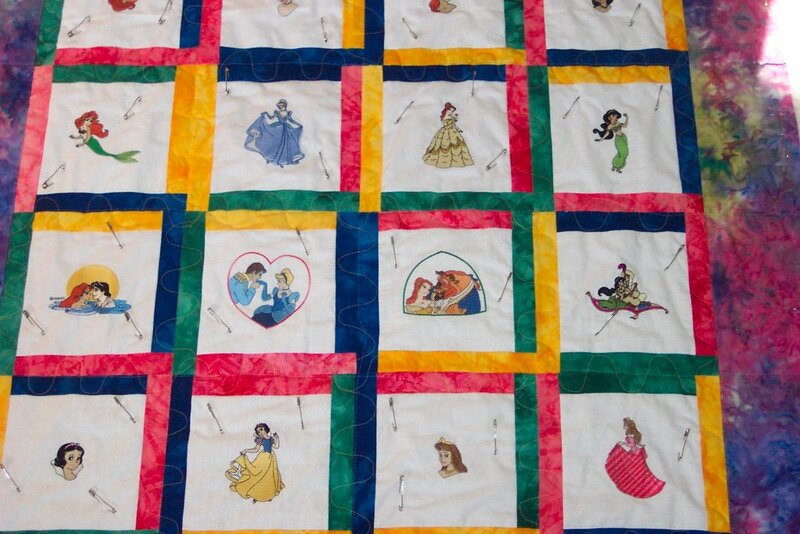 I made this quilt for my mom's sister who is my Godmother and I love dearly. She got it from me for Christmas either last year or the year before - gosh I'm getting old can't even remember! Thought I would share with you a very special gift I got last year for Christmas! My very lovely internet friend I met about 5 years ago made this for me for Christmas last year! She lives and Australia and we both have 4 kids, and have become very close email friends. My only wish is that I could go and visit her! Anyway - imagine my surprise when I opened this last Christmas day! 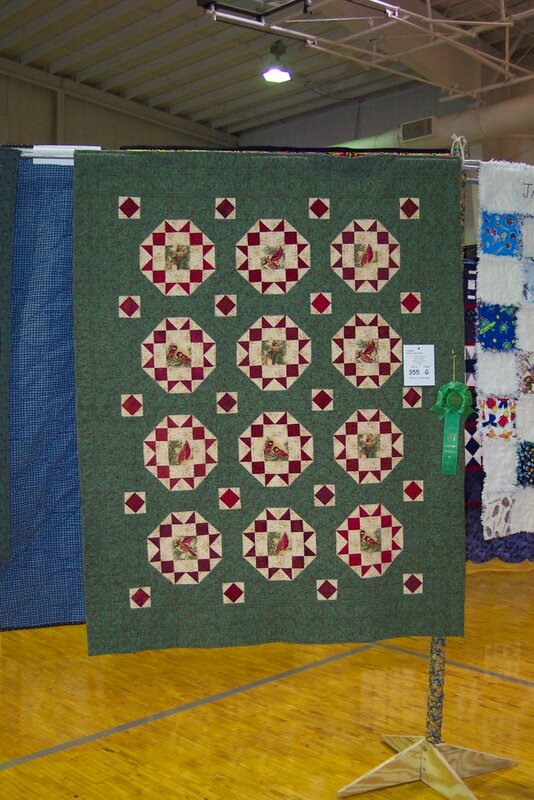 This year it will go up on my living room wall with my quilt holder. Won't it look great! Thanks again Jody - I love this soooo much! Well I'm going to cover the transition from fall to Christmas here. 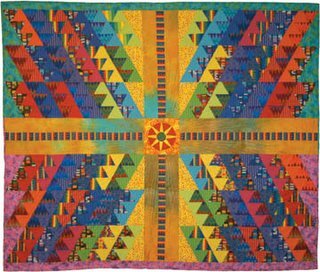 I know you all have seen this quilt 10,000 times - but it finally is done, done, done. Everything done! 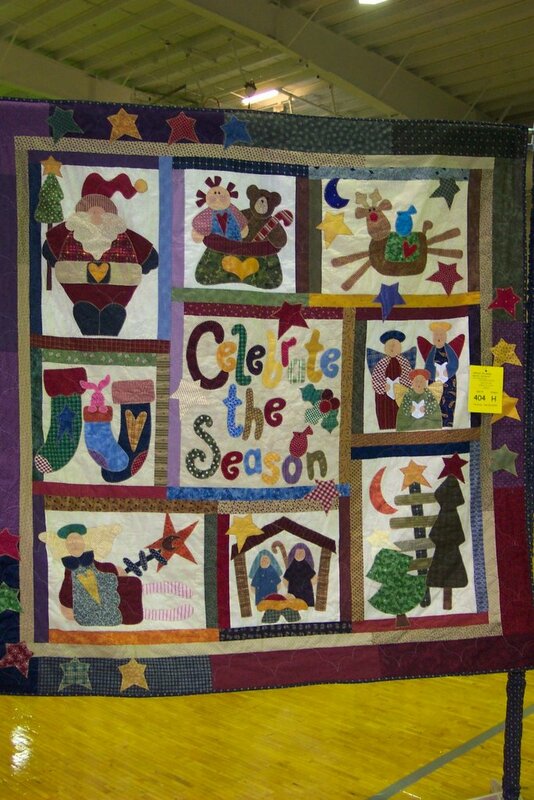 I finished right before Thanksgiving so had to hang it up for a week before I put my xmas quilt up on the wall! 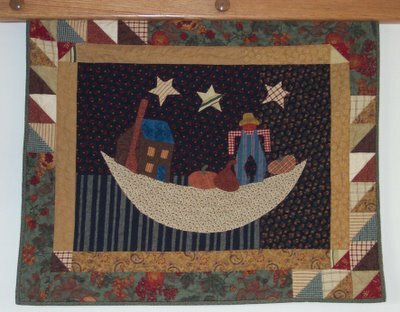 Just in case you haven't heard me talk about this one - it is hand quilted and hand appliqued - so it took me awhile to finish since I've been so busy. Then to kick off Christmas, I just had to post the cutest little reindeer my youngest daughter made in Sunday School. It was the advent fair Sunday so they had all kinds of crafts for the "younger" students. But my 8th grader just had to make some crafts! She can still be young at heart sometimes! Isn't he cute! 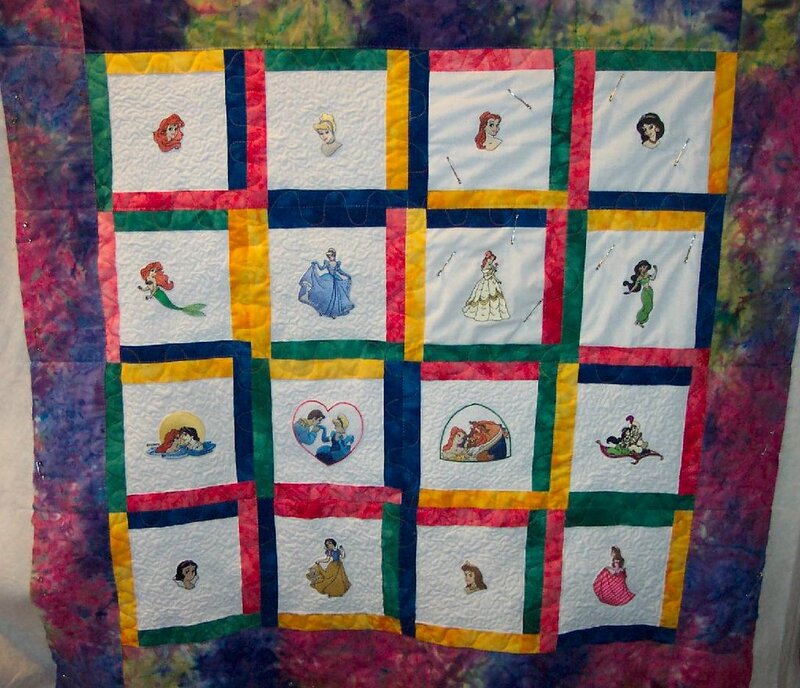 Well I didn't get to any of Tonya's letters, but I did get a lot of the stippling done on the princess quilt! I'll feel better when that is done and back to the owner! Boy that minky doesn't slide as nicely as cotton on a home machine - but it sure is soft and cuddly! And doesn't the stippling around the princesses make them look so fun! 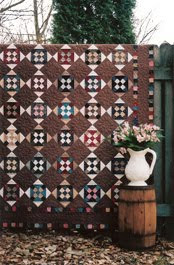 It sure adds to the quilt a lot of texture and an interesting look. 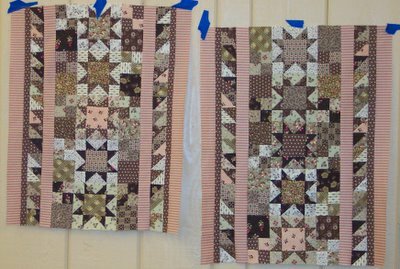 The picture above really shows how much the quilting in the blocks adds to the quilt compared to the undone blocks in the top right! Spent a lot of time with my daughter who was home from college. Did a bit of Christmas shopping and just watched movies and goofed around - so not getting a lot of sewing done was well worth it! 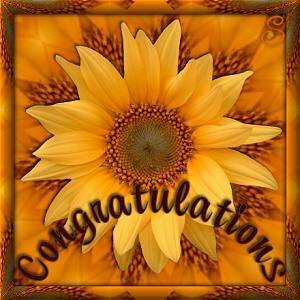 I"m off now to check out everyone's blogs and catch up from the weekend! The time it takes for me to connect and browse on dial up isn't worth it - I decided it was worth the wait until Monday when I could sit back and enjoy them with high speed with a cup of tea! 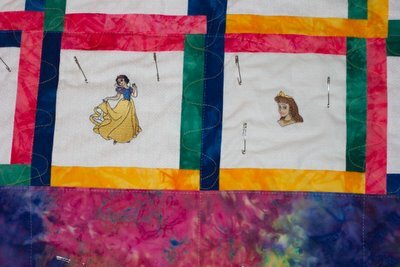 Well I started the quilting on the princess quilt today! And I have a lot of today left! Wanted to share with you so far. The reason I was really worried about quilting it is that it has the really soft fuzzy minky stuff on back. Oh it is so soft and the little girl will love it so much! But it is thicker and stretches a lot on one direction. So I pinned well and basted along the sashings with washable thread to help hold it while I quilt. It is thicker so there is more drag on the free motion foot, and the minky doesn't slide as easily on my table, but I did ok! Stippling should be fine. I know what I was worried about was the sashings. So here is the process so far. I have the sashings done, just a few "bobbles" but I think it will look much better once I get the white stippled. I've been practicing up on my stippling this week with some table runners I had made this summer - so I've got that way under control! See you all later! 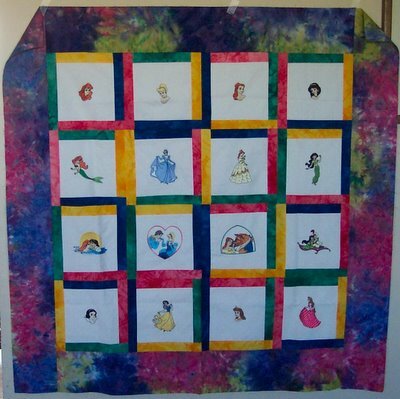 Got to go quilt! Oh Tonya!!!! You know how I keep saying I want to make something with your free from letters but I just never do it? 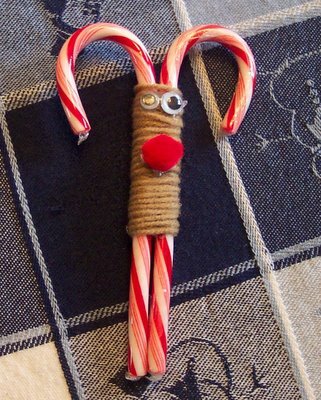 Well I was looking at Finn's Ho Ho Ho's and Holly's Tango and it hit me - I know what I want to make! I got so excited I went back to your older blog posts on how to do the letters and printed them out! 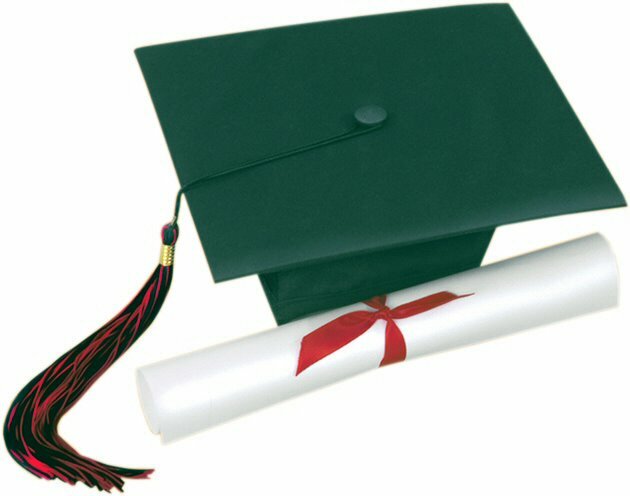 I'm set - starting to plan in my head!!!!! 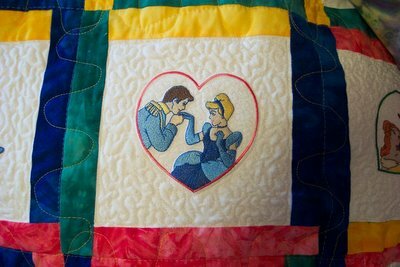 If I get time this weekend I may try some - but I have to do the quilting on the princess quilt first since that isn't mine. 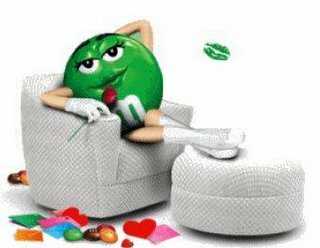 But I'm planning and thinking - and if you ask me - that is half the fun! I'm not going to spoil the "theme" by saying anything else. You all will see it as it evolves over the next many months! 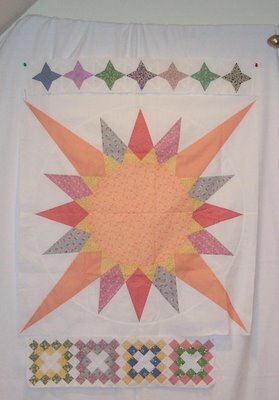 But I will say it is for my sister and is going to incorporate some pieced blocks she has been begging me to make for her for a quilt for about 3 years now! I'm psyched! 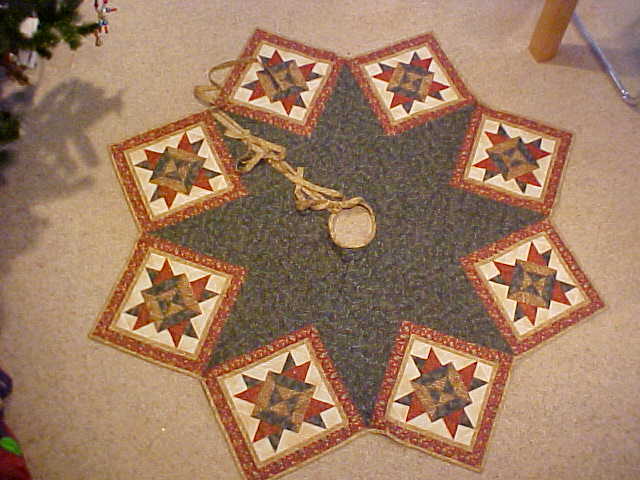 This is a picture (an old picture) of a Christmas Tree Skirt I made about 5 years ago. In fact I made 2 - one for my mom and one for my good friend in Australia. Back then I didn't have a good digital camera, so this is the best picture I have of them. At the time I made these I splurged and bought this awesome fabric that was almost $10 a yard - remember this was about 5 years ago. And they turned out GORGEOUS! The downer? 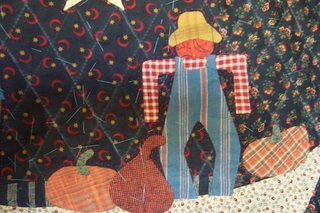 I didn't buy any fabric or make one for me - now I wish I would have. 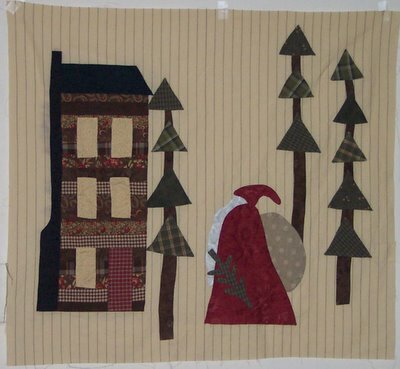 My tree skirt is still a really old one I made about 25 years ago with JoAnn Fabrics and just strips of fabric sewn together in then cut out in long wedges. Hope everyone has a great Thanksgiving! I'm looking forward to the day off! My college daughter got home late last night from school and tonight we are making pumpkin cookies and then Thurs morning we are in charge of pies. The best part - I don't have to clean or cook anything else! We do that at my husbands sister's house! Wooo Hoooo! Here is my progress on my santa wall hanging! Santa is taking shape! But look at the chimney! My black bled! And I had even prewashed it! so now I need to see if I can "unbleed" it! OK, here are 4 ideas/suggestions. 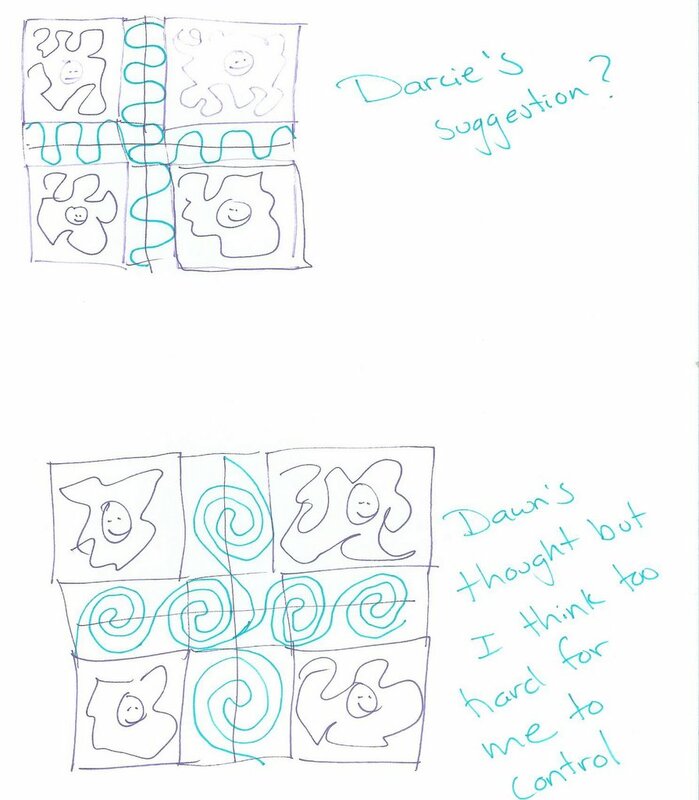 My daughter votes for Darcie's suggestion if I understood her suggestion correctly. In fact it would be the easiest for me - Darcie - is this right? Otherwise I often mix stippling with some kind of straight line stuff so I thought of the zig-zag, but it just doesn't jump at me. 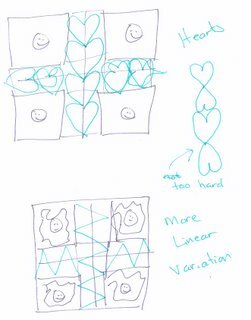 The hearts the tails and heads together is going to be too tough for me to keep consistent on my machine, but I could do feather like hearts going down. Those I could do. 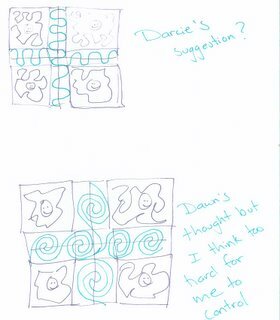 I also thought of doing the swirls on the bottom of Darcie's picture - but I think it will be too busy and once again my brain will get panicked. 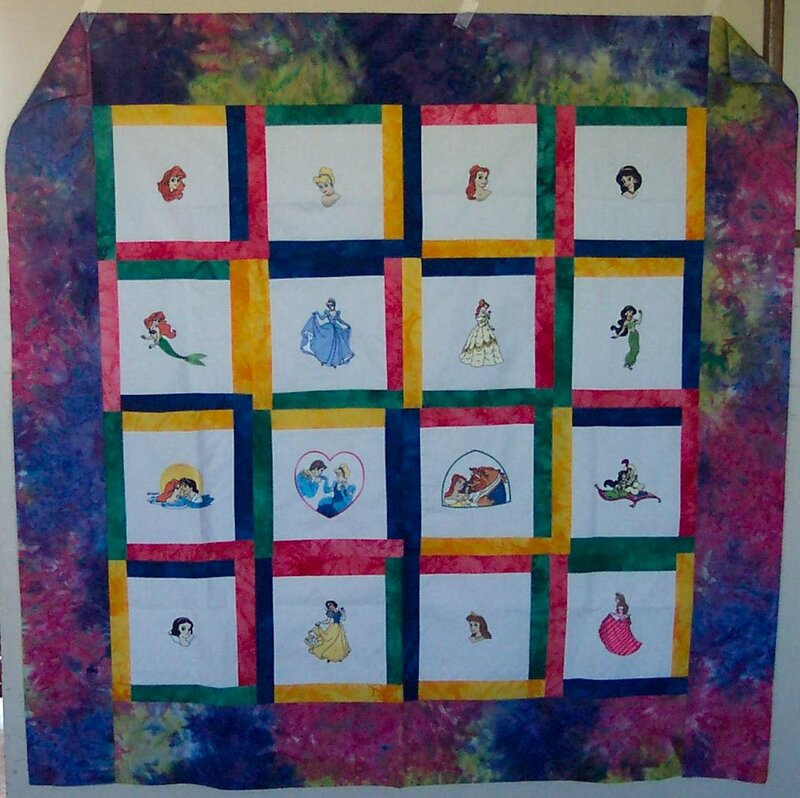 The above quilt I was "hired" to quilt for someone in our guild for her granddaughter. She seems to think I'm the best stippler around. I don't have a long arm and I"m not a "professional" quilter like you all are, but I can hold my own on my Pfaff. 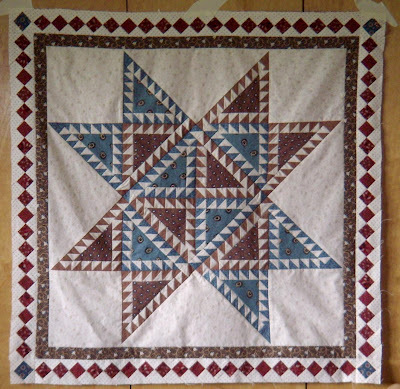 Nothing fancy for quilting, but simple I can handle. What I need an idea for is the sashings. 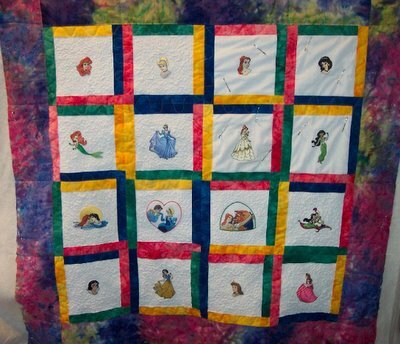 She wants small stippling around the princesses (not micro - just small). I can do that. And I"ll a bit larger stippling on the outer border. Where I'm stuck is the sashings. She just said to do some loop dee-loop things. I"m not sure that is the best solution. She is happy with whatever I do there, but what should I do? Anyone have any suggestions? HELP!!!!!!!!! And this is one reason I don't quilt for other people! It makes me terrified they won't like it! But she is a kind older lady and she begged and I just had to say yes. Well after a long, long week of problems I made some accomplishments to share! First off I totally finished quilting my fall moon wall hanging (hand quilted) last night!!!!!! Didn't take a picture yet - I want to get the binding on this weekend! Course in the progress of quilting it I decided to take several of you up on the "bottle of wine" thing and had a glass on the table next to me. Well...... I happened to knock it over - it was a dark merlot - and spilled wine all over my thread and light table runner I use on that table! I also had an applique block sitting there that is now stained (good news is that it was only glue basted on - I hadn't started sewing it yet! So a new one will get put together this weekend)! I also added the next 2 sections of my Sunshine on my Shoulders quilt. Some of you may remember I've made one already in warm dark colors. 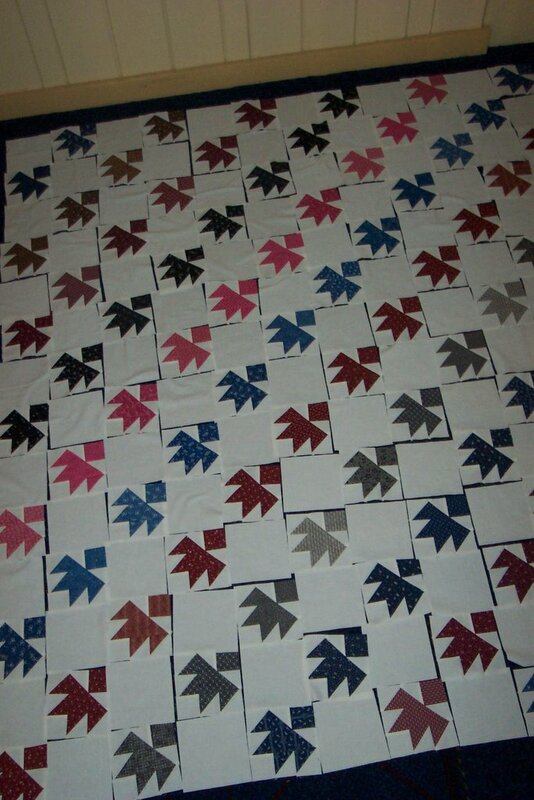 The new version I"m changing some blocks (no applique on this one) and doing it in 30's colors. 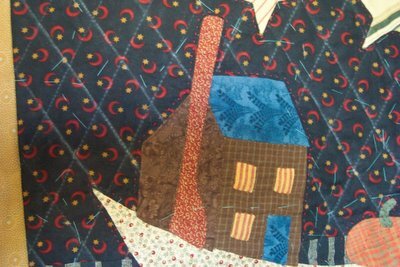 It is a BOM for the local quilt shop I'm teaching. For those of you who haven't seen it yet - the original is below, the new version is the picture at the top! So I"m ready for a great sewing weekend!!!! FINALLY! OK - you need something to eat or drink with this post! I thought I would drown my sorrows Tues at the quilt shop on my way home. Well my quilt shop closes at 4:00pm so I never can make it there since I don't even leave work until 4:00 and then have over an hour drive to get to it. Plus I had to make up the time I missed inthe morning. So Wed I decided I would treat myself with a stop at the sewing store about 1/2 way home last night. They sell machines, but otherwise is pretty much a "sewing" store. But for some reason they have gobs and gobs of quilt books! But of course no one there could ever tell you how to make a quilt - which I find really funny. Anyway, I go there to get the Mettler thread because they have the 50 & 60 sizes. Can't get it anywhere else. But first I stopped at JoAnn Fabrics - a new superstore just opened closer to work and I needed batting for some charity quilts - and I had a 40% off coupon - perfect for charity. I'll settle for warm and natural for charity - I'm a Quilter's Dream fan for my quilts. (ok I'm wandering here....) So I stand in line to check out. I finally am first in the line to go to the next cashier - and the lady at the service desk who has done nothing until now says - "is that all you have"? I say yes, so she grabs my batting and takes it over to her register. I crawl under the line rope to get over to the register and get out my credit card.Well it takes her about 8 tries to get the batting number punched into the cash register correctly for it to ring up. By now she is getting huffy. And in the meantime the line for cashiers is HUGE and people start standing behind me and she keeps telling them they have to go stand in the long line unless it is a return. Some leave some stay. She scans my coupon - no problem. Then I hand her my credit card and it comes back saying it needs authorization and she needs to call discover. Talk about embarrassing! We pay our bill every month so I know there is no way they shut off our card - unless someone got our # and was using it - so that makes me scared. Now she is all mad because she doesn't know how to call for authorization and she is paging managers left and right and no one is answering her calls in the store. By now I have about 5 people behind me giving me really dirty looks and the service desk person gets mad at me and says "This is why this desk is only for returns or cash purchases"! Oh man - I lost it a bit by then so I say "But your the one who told me to come over here, I wasn't waiting to come to this register". So she says "Yes but cash is faster I could have done that". Well she never asked me if Iwas paying in cash - geez. So finally the manager comes and they lookup the discover phone number and call, discover asks how much the purchase is (another totally embarrassing $17.65 - but I only had $5 cash!) and they give her a secret code to let it go through. I grab my bag and leave. Now the strange question is - why didn't my card work. I call my husband and ask if he got any calls from Discover saying they noticed any unusual activity (they've called us about that before when I've traveled but Mark stays home). And he says no - and also checks online and there are no charges we didn’t' make. And our last payment shows up as being paid. So I figure - ok, it was just this girl had no clue what she was doing. I stop at the Sewing Store now. 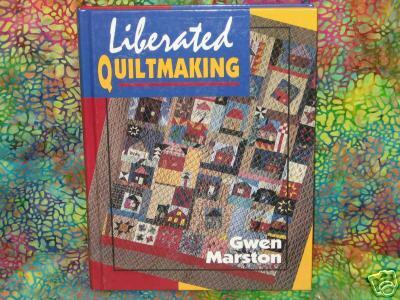 Get my $40 worth of thread - I stock up when I go there - and found the Liberated Quiltmaking book! So I go to the checkout, they ring it up and I hand them my card. Horrors of Horrors! The machine rejects it! By this time I'm really mad - what is going on. So this time I call discover. OK, first problem - they want my card # (automated phone message) no problem and the last 4 digits of my SS#. I punch in mine twice and it won't take it. Well then I realize it is my joint card with my husband so it is probably his SS# - I have never paid attention to what his last 4 digits are. So I keep punching buttons until I finally reach a human (took forever). I find out that back in July our card was one of a group of cards that had been hacked into and the hacker did something to the magnetic strip coding on our card. 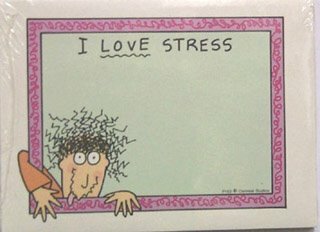 They had sent us new cards with new expiration dates, but the same account # - it all had something to do with the magnetic strip. Anyway, we never activated those because we just thought they were new cards for when these expired since ourcurrent cards hadn't expired and the new cards are those stupid little keychain things which don't work in the gas pumps. AND the letter never said anything was wrong with our current card. Well Monday discover decided to inactivate all the cards that were hacked finally -so they shut off our cards but didn’t tell us. Well they told me to get this purchase to go through the store had to call another # and get the secret code and I needed to activate the cards we got in July. So I finally get the card to go thru and go home. Well it turns out my husband cut those other cards up because the letter didn't say they were replacements because of a problem with our current card - and they were those stupid small keychain cards so we didn't have them. Well man - he got on the phone with Discover and told them about his displeasure of what they did considering we have excellent credit with them for over 16 years. They've promised to DHL new cards to us - regular size - by 5:00 Friday. We will see if that happens! So the good news - since I needed gas and some errands my husband wanted me to do last night and I did not have a credit card or cash -he had to go put gas in my car for me and run my errands!!!!! Are you tired yet? I am!!!!!!! OK, well I thought today was going better than yesterday - but on my way home I had some major problems with the credit card - long story and I'm still mad about it - tomorrow I'll be able to joke about it and fill you in. 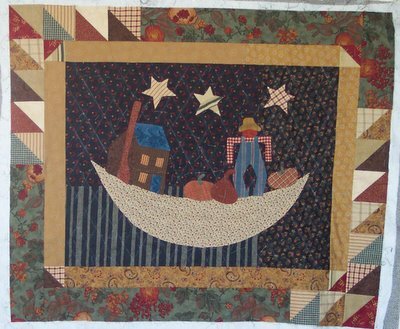 Anyway, I wasn't able to stop at the quilt store last night to drown my sorrows because I had to work too late (since I got in so late). So I stopped tonight at a sewing store I only go to, to get good thread. So I decided to browse through their books. 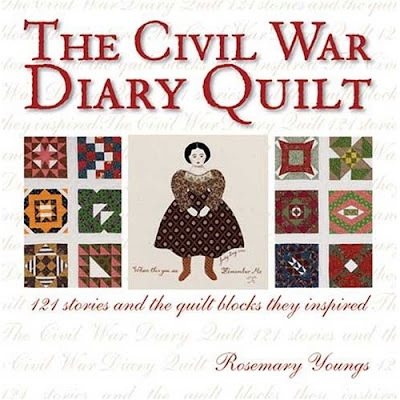 They have TONS of quilt books - funny because they don't really teach quilting, they do more "sewing". Anyway - all of a sudden I thought, geez - they have some really old books here, I wonder if they have left over the ever popular, completely talked about on the maveriks, wonder book - Liberated Quilting. I really didn't expect to find it, but figured it wouldn't hurt to look. Well lo and behold - guess what they had 3 copies of! So I FINALLY got my hands on one for less than $50! It only cost me the regular price of $24! After I bought it I told them they were going for over $50 on Amazon and Ebay! So I"m off to go read through it - but I was just too excited to wait to tell you about it tomorrow! First off - thought I would share my progress on my little ornament wool matt! 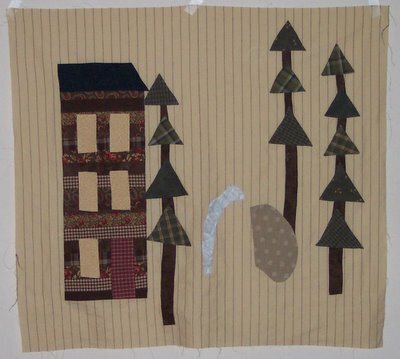 I got all the leaves sewn on now and a few berries. The rest of the berries now sport that favorite embellishment - staples! 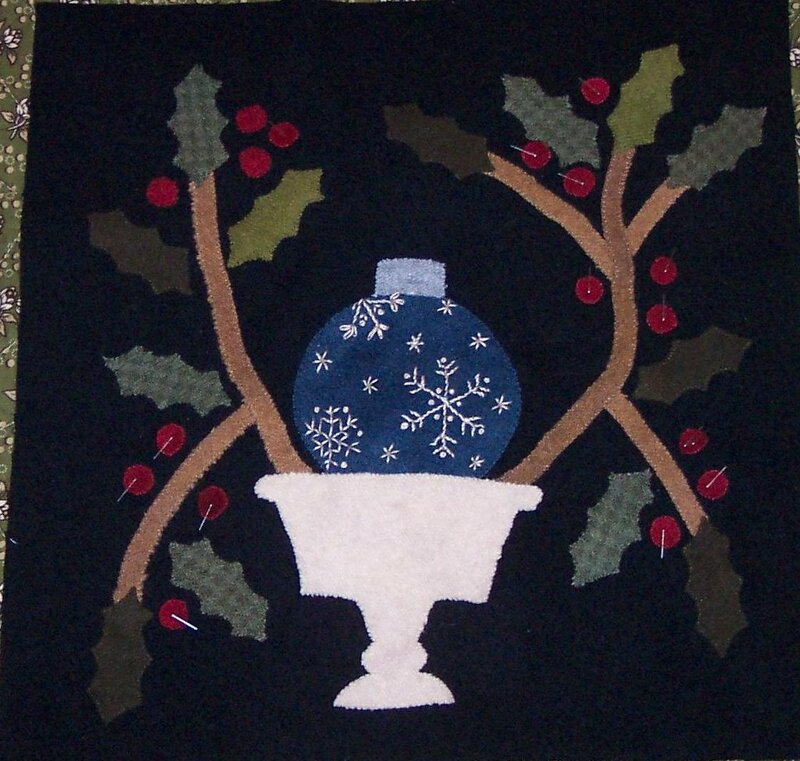 But the big achievement was I got all the snowflake sewing done on the ornament this weekend! Doesn't it really add to the ornament! Tomorrow has got to be better doesn't it????!!!!! Well it is getting close to Turkey Time! 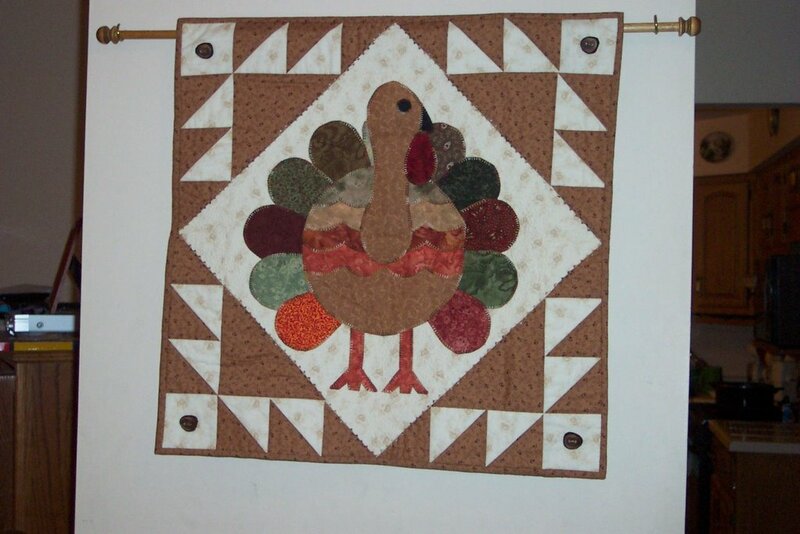 I finally took out my turkey wall hanging and put it up last weekend! 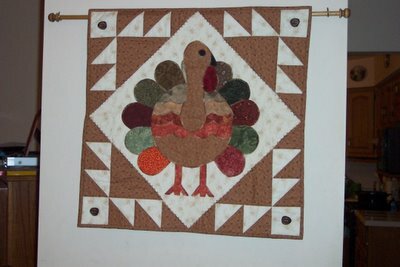 Only problem with thanksgiving wall hangings is it comes so fast after Halloween I have to be quick! 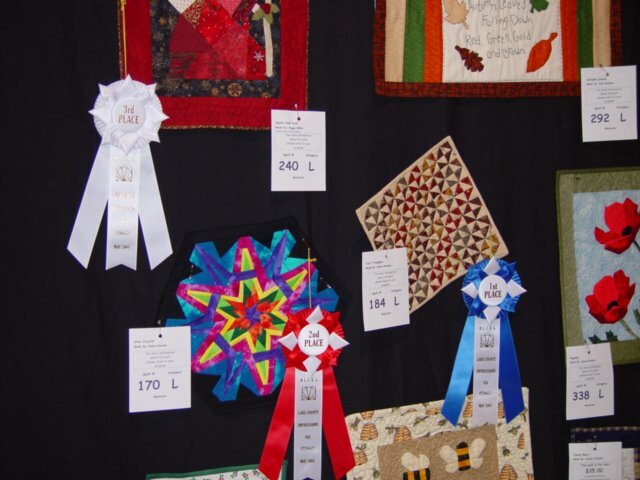 I worked on 2 raffle quilts for our grade schools 8th grade and also on my class blocks for the BOM I'm doing at my local quilt shop. I'll have to get pictures of all of those later this week. I also worked on my wool mat a bit. So once again, little bits of things, but not much to show yet. Also went to see the movie "Dreamer" with my youngest and we loved it! Dakota Fanning was just way too cute in it, and the movie just had such a nice story. Something to go and just get away from daily life and enjoy! Emily and I had a wonderful mother-daughter outing Saturday (besides the movie it included underwear and bra shopping for her - now is that fun or what!). Well, I finally took the time to get all my pictures from the retreat at The Abbey loaded into my webshots! So just click on The Abbey Retreat and it will take you to all the pictures. As you can see it is a beautiful resort and we had gorgeous weather.... on Friday! But so what, the rest of the weekend we were too busy sewing anyway! Well we did take a walk to Gordy's for lunch on Saturday and it was drizzly and gray - but about 30 seconds after we walked in the door back at the resort hail started coming down! Boy did we luck out with that! I had told my friend - ahhhh lets go - whats a little wet! Well hail would have been a different story if we had gotten caught in that! 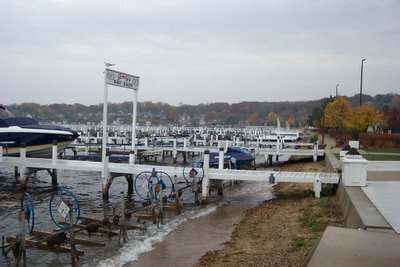 Below is the harbor by Gordy's. 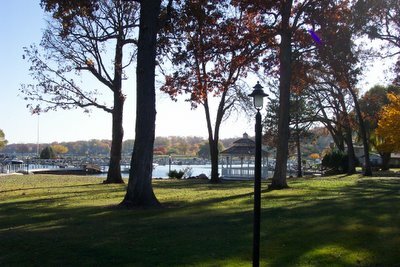 Hope everyone has a great weekend and enjoy the retreat pics! 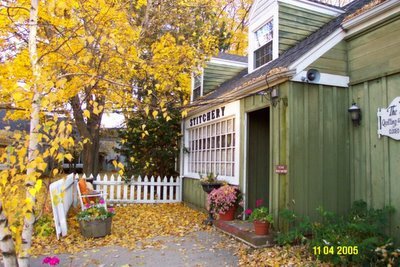 The picture below is of the really cute quilt store nearby. Finn - Here is the leftover HST table mat I made from the triangles cut off a quilt I made once! Each HST finishes to about 3/4"! And look at that - from leftovers I got a first place ribbon at our quilt show last spring! One last "In Progress" before I go on retreat!!!!! I'm so excited! 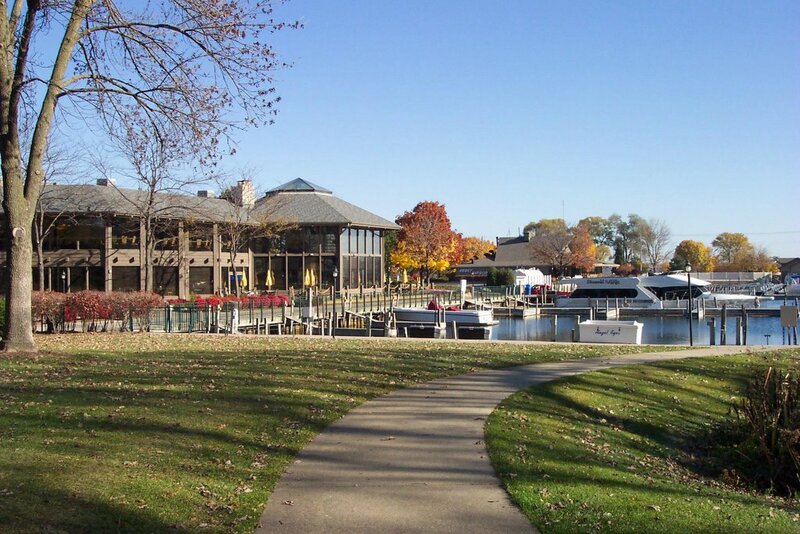 Tomorrow morning I head for beautiful Lake Geneva Wisconsin to the gorgeous resort The Abbey! 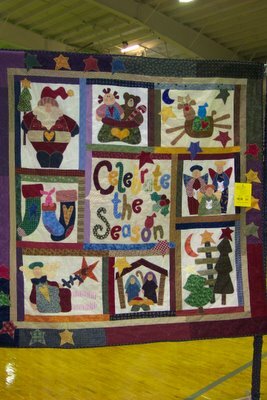 It is my annual fall retreat with a bunch of friends and we sit, sew and laugh all weekend! Oh yeah - and eat! 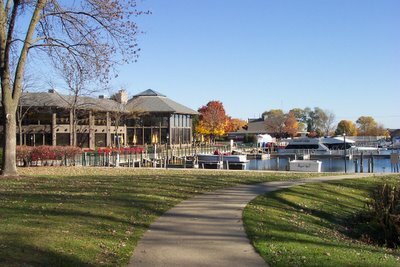 The resort is only about an hour from my home - but hey - I"m still away from home and work - and the lake is gorgeous! 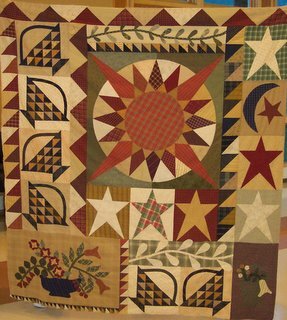 I plan on working on a reproduction quilt of an acutal antique quilt. I'll give you pics and more details next week! Wouldn't want to spoil the surprise! So as a parting shot I"ve posted pics of my fall moon in progress of hand quilting. Still has all the chalk lines on it of course, but it is looking soooo good! I only have the 2 outside borders left to go! Not sure when I'll be back - I come back from retreat on Sunday, but my root canal is Monday - YUCK - a really BIG YUCK. So work will get behind also. So don't worry about me, I'll check in as soon as I can breathe again! I'll miss you all! (But I'll also be having fun - well at least until Monday)! I've also started a wool table matt for xmas to set out! I love doing the wool ones now and then because there are no edges to turn under! But I only have so much table space to set them out! 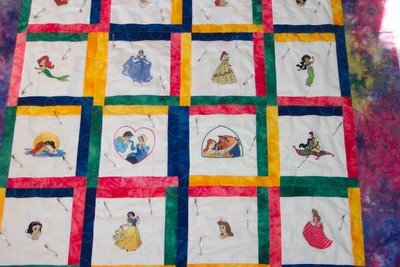 Of course quilting is still my first love! But here is another ghost picture for Tonya! You have to image the rest - it isn't done yet! Oh and don't the staples add a nice touch! I finally started a Christmas wall hanging I decided I wanted to make. 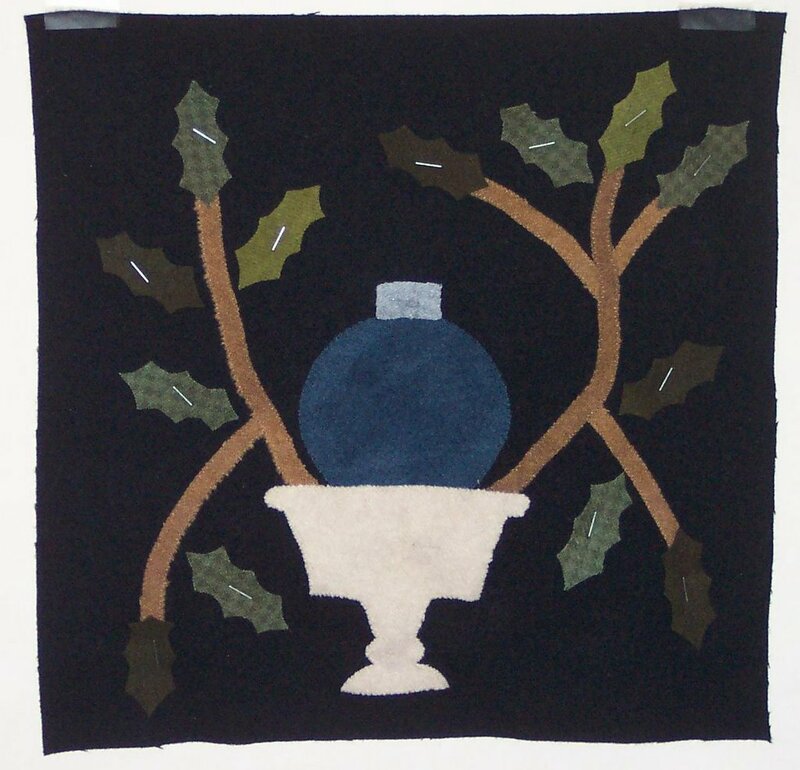 I saw a picture of one like it on webshots from a quilt show this fall and HAD to make one! Course mine won't be anywhere near as beautiful as the original, but it will be cute! All you can see at the moment is a ghost of Santa! Hopefully we will have more than a beard and a bag soon!